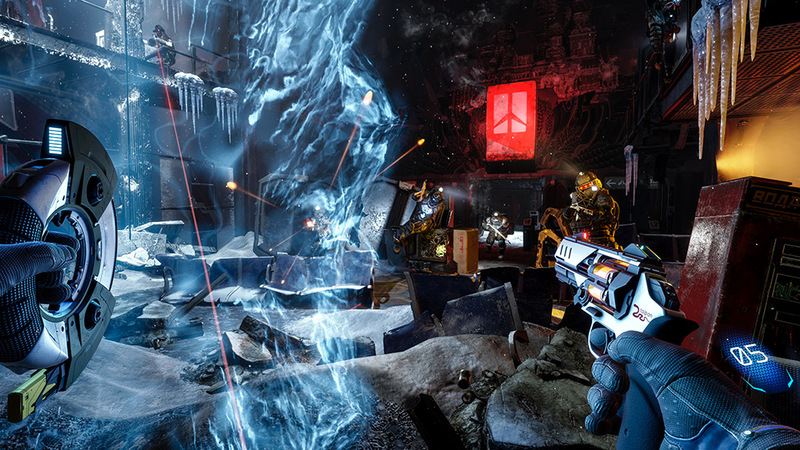 Using the newest version of the 4A Engine, ARKTIKA.1 delivers the most impressive visuals ever seen in VR, along with the immersion and world building that 4A Games is known for, in a full AAA package. Experience a post-apocalyptic vision of the future like never before; in full VR. It is the year 2034. Beneath the ruins of post-apocalyptic Moscow, in the tunnels of the Metro, the remnants of mankind are besieged by deadly threats from outside – and within. A gripping, story-driven first person shooter, Metro: Last Light is the hugely anticipated sequel to Metro 2033. Set in the shattered subway of a post apocalyptic Moscow, and based on the internationally best selling novel series by Dmitry Glukhovsky, Metro 2033 is a story of intensive underground survival where the fate of mankind rests in your hands. “Metro 2033”, “Metro: Last Light”, “Metro 2033 Redux”, “Metro: Last Light Redux”, and “Metro Redux” are copyright © and published 2015 by Deep Silver, a division of Koch Media GmbH. Developed by 4A Games Limited. “ARKTIKA.1” is copyright © 2016 by 4A Games Limited. Developed by 4A Games Limited, published by Oculus VR, LLC. 4A Games Limited and their respective logo are trademarks of 4A Games Limited. “Metro 2033 Redux”, “Metro: Last Light Redux”, “Metro Redux” are inspired by the novels “Metro 2033” and “Metro 2035” by Dmitry Glukhovsky. All other trademarks, logos and copyrights are property of their respective owners.